Who says there can’t be any art in technology? Here I present, some visuals of the most expensive data centers in the world. Pictured above and below, its the Microsoft’s top-secret data center – it surely is a piece of Art. Physically real, yet still beautiful ! This underground data center has greenhouses, waterfalls, German submarine engines, simulated daylight and can withstand a hit from a hydrogen bomb. It looks like the secret HQ of a James Bond villain. And it is real. It is a high-security data center run by one of Sweden’s largest ISPs, located in an old nuclear bunker deep below the bedrock of Stockholm city, sealed off from the world by entrance doors 40 cm thick (almost 16 inches). Quite a difference, isn’t it? Google’s offices are generally extravagant, but the Hong Kong office is an exception. This one is just basically a normal office, with Googly colors splashed around for good measure. Usual stuff like good pantry and games are still there. Scientific and Technical Document Utility Explorer, if you can get past the complex name, this surely will be a helpful utility for all of us. Lets call this utility as STDU Explorer. STDU Explorer is a neat little file manager that beats Windows Explorer by providing superior preview and thumbnail options. The program is designed especially for previewing and managing image-file formats such as .psd, .bmp, .png, .gif, .jpg, and .wmf. 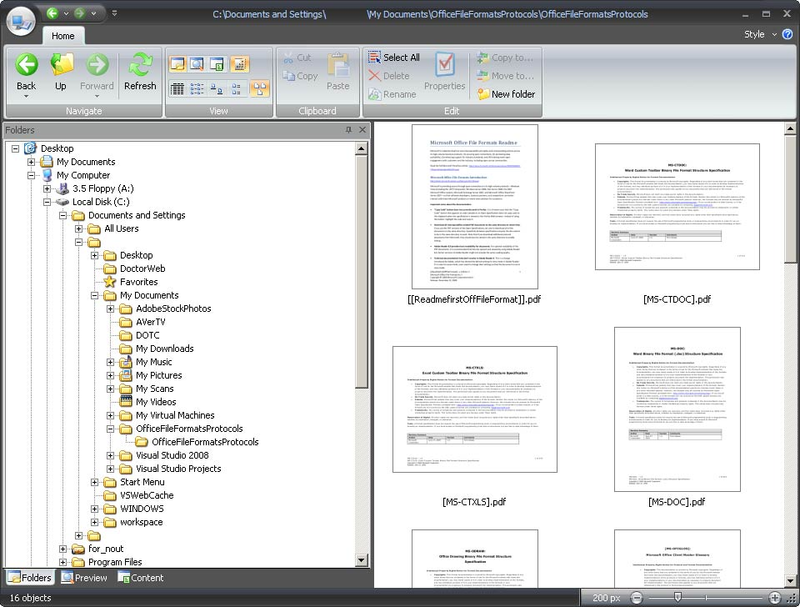 You can also use STDU Explorer to view Acrobat PDF files and DjVu books (What is DjVu?). The file manager lets you skim quickly through folders with chock-full of image and PDF files. Finding the one you need is facilitated by STDU Explorer’s thumbnail previews, which you can enlarge, shrink, or otherwise customize on the fly. The program’s preview pane is great for flipping through multipage files, and its familiar folder tree and Office-like toolbar simplify navigation and basic file-management tasks. The only useful feature missing from this utility is an address bar for entering folder paths, but otherwise, STDU Explorer is a winner that works with all Windows versions. I started this blog exactly a year ago, so today (June 18th,09) is its first anniversary. The blog ‘TheTechTalker.com‘, in early days was called as ‘T3c-n0-cr@t : The Blog-e-zine’. It currently contains 82 posts and 118 comments, and has more than 19,000 hits till now. Unfortunately it also attracts a huge amount of spam posts – fortunately the WordPress spam filters catch most of these. When I took my first tentative steps into the blogsphere, I was a bit worried that I wouldn’t be able to find enough time to write. But so far I’ve managed to write at-least 3 to 4 posts a month, if not more. While perhaps not every post is a perfectly honed gem, I do try my best to make them interesting and informative. Going onwards, I would definitely try to write more often and provide quality content. Thank-you dear readers for watching this space, for allowing my experiences, my thoughts, likes & dislikes.